Lightweight, smooth HeatGear fabric for superior performance . 4-way stretch construction moves better in every direction. Material wicks sweat & dries really fast. Anti-odor technology prevents the growth of odor-causing microbes. Performance waistband. Working fly. 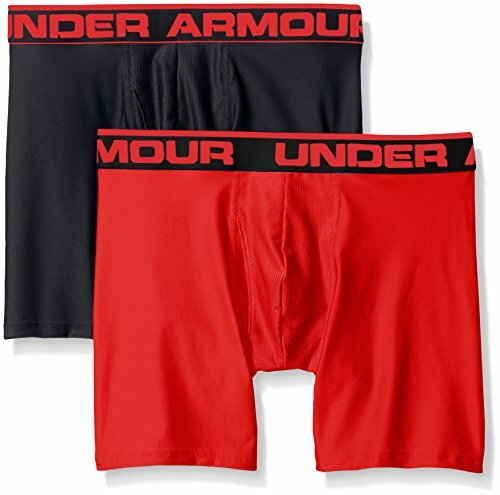 2 boxer briefs per pack. Inseam: 6".